The City of Greeley’s Museums trace their origins back to the 1870s. Now, while we are daily exploring the prairies, mountains and streams and even bringing up the buried treasures of the ages from the ground beneath us, we hope that our people will bear in mind the fact that we are organizing a museum for the benefit of the whole colony and whenever anything appropriate may be found, let it be placed among our common treasures and we will soon have a collection that will be both instructive and entertaining. Bring specimens of fossils, petrification, minerals and even birds and small animals, which will be properly prepared. Many of our people have rare articles which they have expressed a wish to donate so that it could be cared for. A room has now been appropriated for this purpose in connection with the Reading Room by the trustees and it will be placed in the hands of competent persons for the classification of all donations. Today, the purpose of the City of Greeley Museums remains essentially the same: to collect, preserve, interpret and share the history of northeastern Colorado. 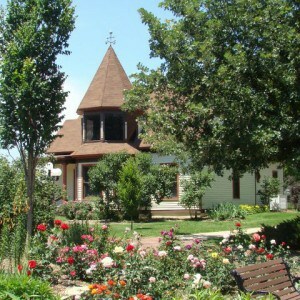 The Meeker Home, built in 1870, is a unique adobe two-story austere home, originally built to house the City of Greeley’s founding family. Nathan Cook Meeker, his wife Arvilla Delight and their three daughters: Mary, Rozene and Josephine, lived there. 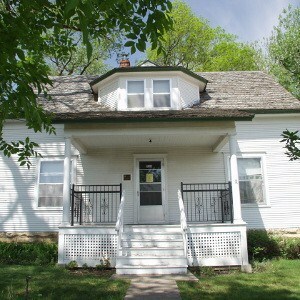 In 1929, Greeley residents organized and purchased the Meeker home to be Greeley’s first official museum. Within a few decades the Meeker Home Museum was too small to house the artifacts, photographs and documents that were collected. The Greeley Municipal Museum was created in 1968 in what was to become the Lincoln Park Library in downtown Greeley. Just over one hundred years after the Meeker home was built, citizens of Weld County began work to acquire local historic structures to create an open air museum. Its original focus was to tell the tales of the determination and bravery displayed by this region’s early pioneers. Structures were collected and exhibits of collections installed in them to tell our unique heritage. Celebrating Colorado’s centennial and the nation’s bicentennial, the collection was named Centennial Village, and located next to Island Grove Park Regional Park. Centennial Village held its grand opening July 4, 1976. By the end of the 1990s, Greeley’s collections of historic artifacts, images and documents had grown so excessive that proper storage and history was impossible to appropriately manage. A number of options were debated; funding requests were made and the 2-A Bond project was accepted by Greeley voters in 2002, permitting the acquisition of a downtown facility for exhibits and artifact collections care. 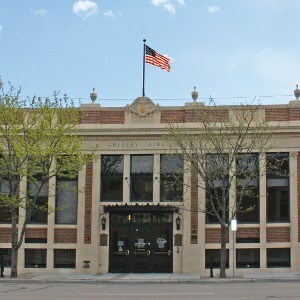 The result was the Greeley History Museum, installed in the 1929 Greeley Tribune Building at 714 8th St., and opened to the public in July 2005. 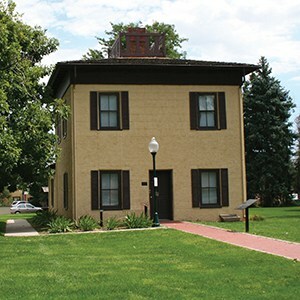 Greeley History Museum has multiple exhibit galleries, the Hazel E. Johnson Research Center, numerous public spaces, staff offices and essential storage areas for 2-D and 3-D artifact collections. At the City of Greeley Museums, we continue to collect, preserve, interpret and share the history of Northeastern Colorado. We welcome the public to be a part of our museums. Consider donating or volunteering today!